Last week when I wrote about (figurative) transparency as a marketing tool, little did I know that I would soon discover a literal application of the same concept. 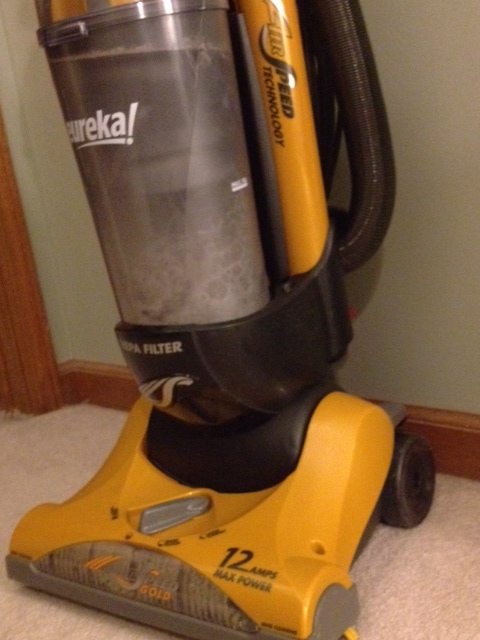 I bought a new vacuum this weekend; my old one finally gave out after almost two decades of service. Vacuums these days certainly have a different look than vacuums of yore. Gone are the bags so artfully tucked into an opaque canister, forgotten until the appearance of a warning light and the loss of suction. They have been replaced with clear canisters that can be easily removed and dumped after each use. I didn’t think much about the reasons behind it until I got the unit home and started using it. One perfunctory round in my bedroom and adjoining bath left me completely disgusted. The canister was half full of dust and hair, and I was left feeling like a filthy pig. I dumped the canister and wanted to vacuum more, more, MORE! And those who know me recognize that I hate cleaning almost as much as I hate doing laundry. Anyway, I think this was a brilliant move by vacuum manufacturers. What better way to get me to use their product than by showing me all the disgusting filth I have picked up from my floor? I want to push that yellow monster around until absolutely nothing is left to fly into its clear plastic belly. The more I use it, the more likely I am to talk about it, and the faster it will wear out and send me to the store after a new one. Don’t hide the dirt, show it off! This is good stuff. One of the best marketing tools is a product feature itself. See? I told you transparency works. In yesterday’s post, I talked about the importance of bringing passion to your job. It’s easy to buy into that theory when the job involves fun stuff like planning a Super Bowl or marketing Apple products or creating ad campaigns. But what about when the job involves selling hearing aids or running a security company or teaching French to semi-interested adults who refuse to do homework? What about running a sanitation crew or fixing potholes or troubleshooting pumps? What about hauling grain or changing bedpans or working on a factory floor? I maintain that passion is essential no matter where you work or what you do. I’ve seen the difference firsthand. Here’s a case in point. I once attended a sales meeting for a company that makes and sells products that most people wouldn’t consider very exciting. In fact, the average Joe probably doesn’t think about these products at all; they just hum along in the background, taken for granted by everyone. I didn’t expect to get much from the meeting other than some face time with colleagues I don’t see often. It didn’t take long, however, for me to really tune in during the product presentations. Despite the not-so-glamorous profile of hanging hardware and flexible piping, I found my attention drawn to the front of the room. It wasn’t because of eye-catching graphics on the projection screen; it was the passion in the presenter’s voice that drew me there. It wasn’t just one presenter, either. Each person who stood behind the podium clearly believed in what he did and was eager to share his enthusiasm. I left that conference refreshed. It’s exciting to work with people who are excited about what they do. I want to jump in and be part of it, and when I do a good job with my portion, I know it will be appreciated. That makes me eager to do more; success breeds success breeds success. 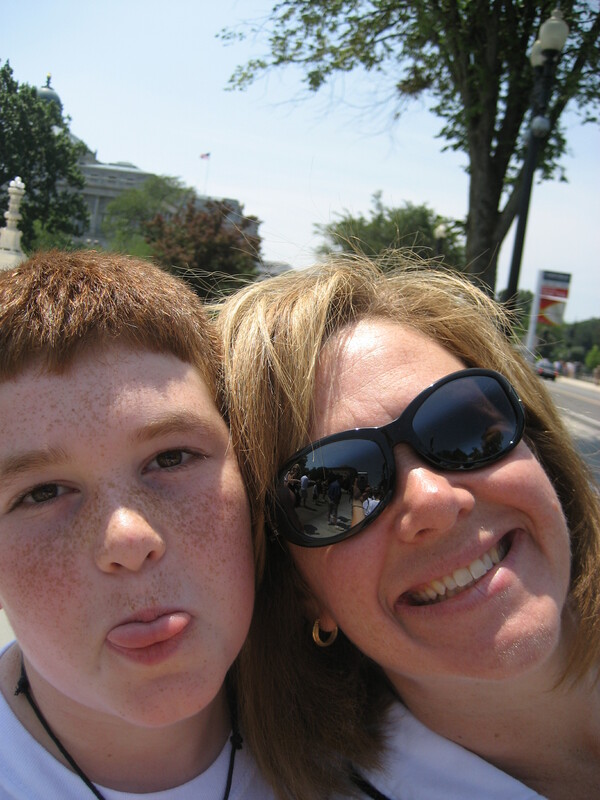 I’ve been involved with the flip side, too. When people view their jobs as tedious and boring, assignments become tasks, things to check off a to-do list, one more thing to get done before going home for the day. When effort goes unappreciated and is taken for granted, the incentive to go above and beyond disappears. In the end, a lackluster attitude brings lackluster results. The person selling hearing aids is allowing people to hear the voices of the people they love. The person running a security company is helping to provide peace of mind and to keep people safe. The person teaching French is sharing part of another culture. The person hauling grain is helping to feed people and animals. The person changing bedpans is bringing compassion to a sick person, as well as helping to control the spread of germs and bacteria, maintaining sanitary conditions so others don’t get sick. The person troubleshooting pumps is making sure people don’t run out of water to drink. It’s a lot easier to become passionate about your job–to transform it into a mission–when you take a long view of what you do. Look at the big picture and get excited. After all, you’re on a mission. 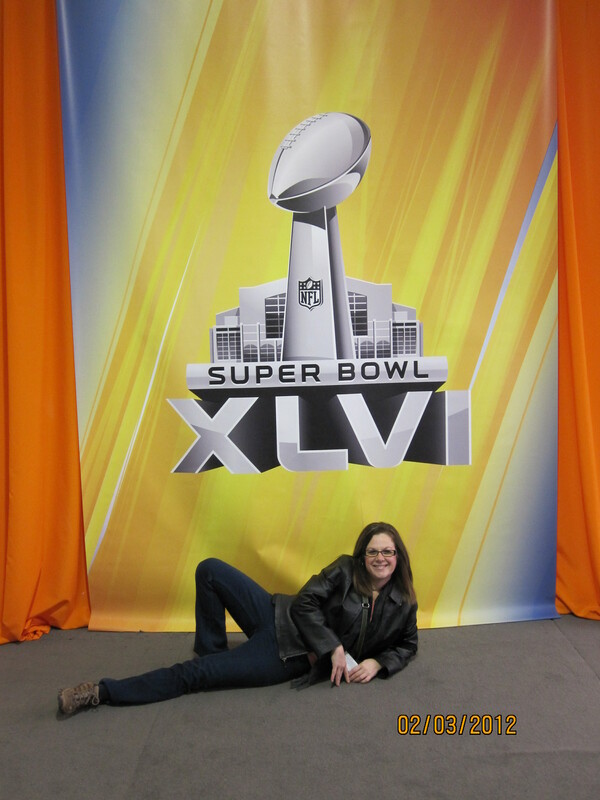 In case you’re wondering, I had a great SUPER time in Indianapolis on Super Bowl weekend. The city did a fantastic SUPER job with every detail that I could see, including replacing positive descriptors such as great, fantastic, nice with the word SUPER at every possible opportunity. “Have a SUPER day!” rang out at the close of every encounter, thanks to the 8000+ volunteers who had bought into the plan. By all accounts, Indy’s Super Bowl production was a success. The week leading up to the big game impressed pretty much everyone, including me. What impressed me even more, however, was the year leading up to the event. I have learned many lessons from this planning/communicating/marketing success story. Many, many months ago, I signed up for every mailing list the Super Bowl XLVI Host Committee offered. Even that early in the game (so to speak), the volunteer roster had already filled, so my intent was to at least follow along vicariously. It didn’t matter that I live in Fort Wayne and not Indy’s east side; I learned all about the First & Green effort. I have no intention of ever knitting a stitch, and the only purls I’ll touch are spelled P-E-A-R-L; I still followed the Super Scarves effort every stitch of the way. I eagerly awaited photos and progress updates on the Host Committee’s Facebook page. I devotedly read every weekly update published to my inbox (and thousands of others) by Alison Melangton, the Host Committee’s head. I soaked it all in. Transparency matters. One of the things I appreciated most about all the planning and preparation was the regular updates on the state of affairs. By the time the big week rolled around, there were no unpleasant surprises. Organize, organize, organize. The committee got started early and put together a capable staff. Every detail counts. From the visible (scarves identifying volunteers, cookies and cards from schoolchildren for every hotel guest) to the unseen, the committee vigilantly addressed every possible detail. Seeing dozens of school buses lined up to shuttle people out of downtown to their respective parking lots on game day was just awesome. Use all the tools at hand. The committee did a tremendous SUPER job using all forms of media to reach people. 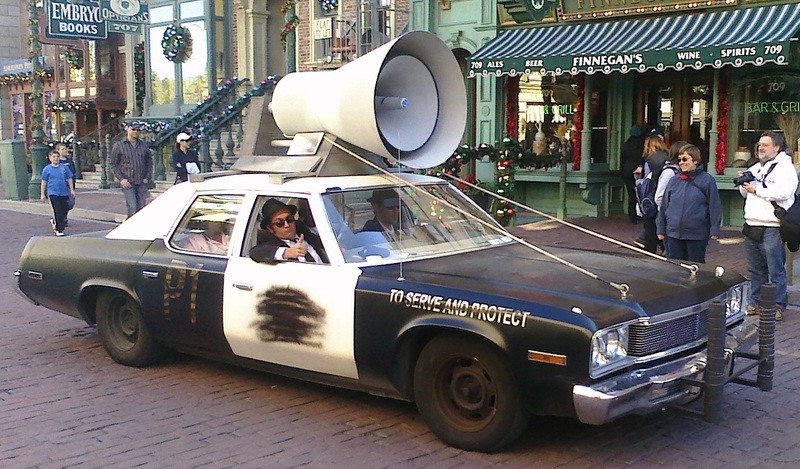 Aside from the traditional channels, social media played an integral role in getting the word out. One of my favorite examples is the use of Twitter during Super Bowl week, when concierges would tweet available restaurant seatings for those of us who weren’t able to get reservations. Twitter, Facebook, YouTube, print, TV, radio, word of mouth…they all have their place and can bring terrific SUPER results when used effectively. Bring your passion. It was very clear to me that all the people involved with this effort were truly passionate about it. Passion is what moves the lackluster to something special. It’s easy to see when it is present, but it is equally apparent when it is not. If you truly care about what you do, people will notice, and more often than not, you’ll find it’s contagious. I loved every minute of my SUPER weekend in Indy. The experience itself was wonderful SUPER, but looking at it through a marketer’s eye was just as exciting for me. I just loved watching everything fall into place after months and months of careful, deliberate planning. I’m already finding ways to apply those lessons in my own endeavors. I never know what I’m going to find in an airport. I’ve stumbled across some great ideas, as well as some that have left me shaking my head. Vino Volo, for example, offers a sip-it-and-ship-it wine bar concept where travelers can comfortably await their next airplane flight while sipping a wine flight, accompanied by some pretty delicious small plate offerings. 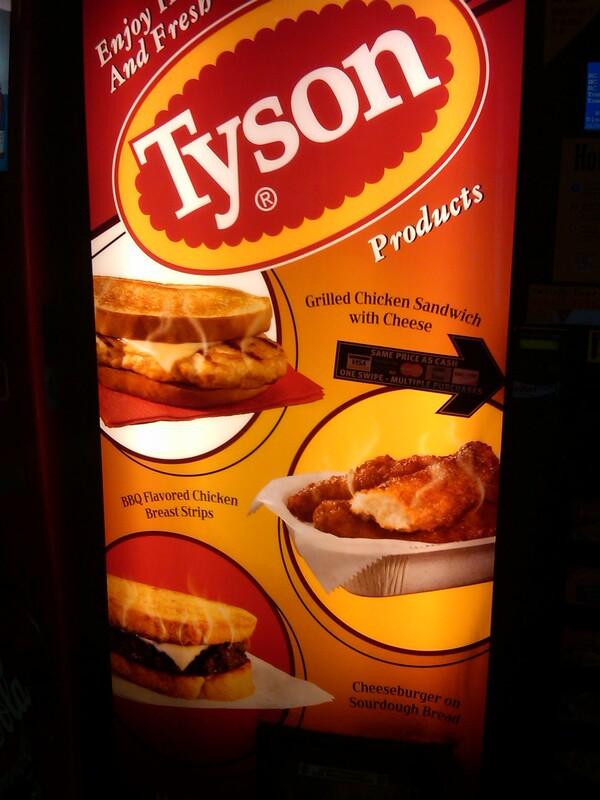 On the other hand, the Tyson vending machine I found offering hot chicken nuggets and cheeseburgers for a few quarters left me wondering just how far we’ll go to get our fix of processed foods. Then there’s my most recent find: the Yellow Pages kiosk. It caught my eye when I arrived in Tulsa on a recent trip, but I didn’t have time to check it out until I skulked around the gate awaiting my return flight a few days later. 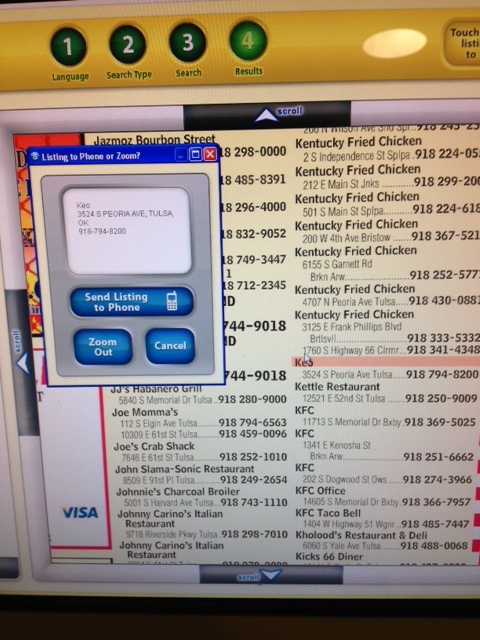 At first glance, I was intrigued by the idea: look up local businesses, Yellow Pages style, at an interactive touch screen that will text the selected information to a cell phone. Interesting. The more I played with it, though, the more I wanted–and didn’t find. I could look up restaurants, for example, but all I could see on-screen was the (exact!) same thing I would find in the hard copy Yellow Pages: an alphabetical listing of name, address, and phone number. Because touch-screen electronic media inherently suggests interactivity to me, I found myself tapping the screen on the name of a restaurant to drill deeper in the hope of finding a description, a menu, reviews, anything. Nothing. Just the Yellow Pages on a screen. This whole, slick-looking machine provided no more information than a hard copy would have. This could have been a really great idea. I could look up a local business and tap the name to link to its website. Or driving directions. Or reviews. Or make reservations. Or, or, or. I thought maybe I was asking too much, that the programming investment required to realize my vision might significantly change the economics of the situation, so I visited www.yellowpages.com. Everything I imagined was right there. Search restaurants in your town; click one to find a description, link to its website, driving direction, and reviews. Perfect. Unfortunately, my internet search just made the kiosk idea seem even worse. Now I really don’t understand why that company wasted its time loading the big yellow book into the machine when all it had to do was provide an entry point into the online version. It obviously had a phone line for texting, why not an internet connection? It could have been so simple. What might have been a good idea fizzled when it came time to make it happen. It could have been so much more, but it ended up falling short. No wonder I didn’t see anyone using it. Think it through, build it out, make it happen. The execution counts just as much as the idea itself. A few nights ago I visited my regular sushi haunt. I hadn’t been there for a while, and my cravings were threatening to undo me if I didn’t oblige them. Even though there’s a newer, flashier place situated slightly closer to my house, I prefer this nondescript little storefront tucked in the corner of a strip mall. It doesn’t get a lot of recognition, but they get the rice right and the clear soup is the best in town. Besides that, it’s comfortable. On this visit, I noticed that something was different as soon as I sat down. Actually, there were a lot of things different. Not only did I find myself paging through a new menu, but I also noticed it was full of new items. All my old favorites still beckoned, but new dishes challenged them in every category. Always excited to try new things, I mentally rubbed my hands in delight. I settled on a combination of the familiar and the yet unexplored: my usual clear soup and green salad, accompanied by a fantasy roll, which sounded absolutely delicious. As the courses started to arrive, I saw that not just the menu had changed. The diminutive, diner-style water glasses had been replaced with honest-to-goodness glass tumblers that didn’t need to be refilled every six minutes. The salad had doubled in size, and it was served on new white dinnerware instead of the usual glass shell. Then came the new roll. Ohhhh, the new roll. More scrumptious than even the description conveyed, it offered a feast for the eyes as well as the palate: artfully arranged on a the same gleaming new dinnerware, encircling a small pot of fire. And mochi for dessert!Be still my heart. As happy as my belly was when I left the restaurant, something other than the food brought a bigger smile to my face. I saw very clearly that my favorite sushi hidey-hole had significantly stepped up its game, and I was pretty sure I knew why. 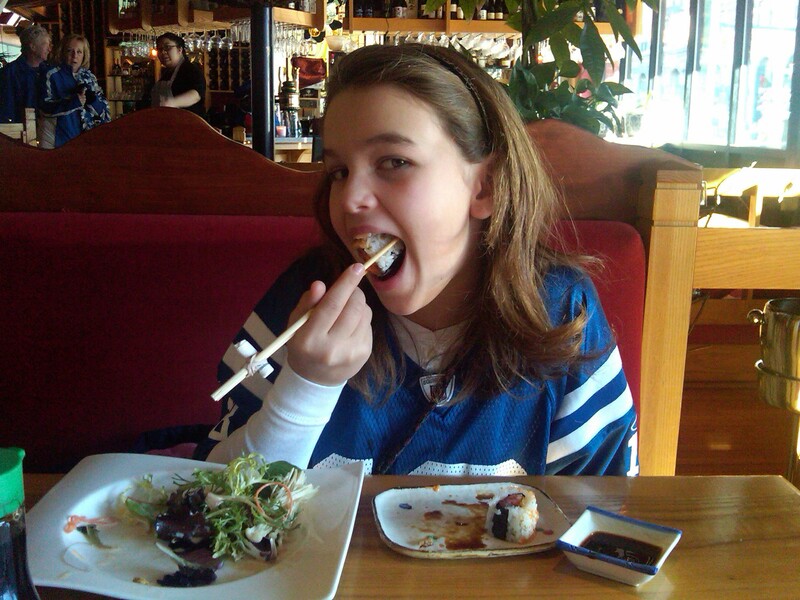 That newer, flashier sushi place down the street had swooped in and presented a real threat to my fave’s business. I liked the restaurant before, and I like it even more now, having tacked on a healthy dose of respect for the outstanding effort the owners have put forth in rising to the challenge offered by the new guy down the street. They didn’t offer gimmicks or discounts or otherwise try to buy business. Instead, they watched and learned and made their restaurant fundamentally better. This, my friends, is the way competition is supposed to work. Don’t race to the bottom to buy loyalty; earn it. When I stay in a hotel, the last thing I want to do is think about what the prior occupants may have done in my room, particularly in my bed. The second to last thing I want to do is question whether the sheets are really clean. If I dwell on these topics too long, I can get pretty creeped out. I’d prefer to spend my temporary occupancy in naive oblivion. Imagine my consternation when, on a recent trip, I found myself looking at the back of an elevator door which commanded, Sleep naked. 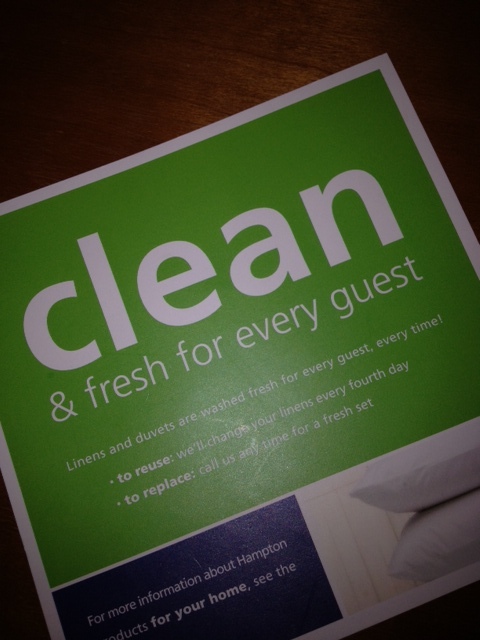 When I got to my room, I found a follow-up card that told me that the sheets are washed for every guest. Umm…excuse me, but I had always assumed that was the case. Does that mean I have to question it now? I’m already getting the shivers. I understand what the Hampton–er, the anonymous hotel chain–was trying to do. They wanted me to rest assured (yes, that was a pun) that they’ve got the cleanest sheets around. Unfortunately, they didn’t say it that way. Instead, they told me their sheets were clean while fostering the implication that others’ sheets may not be–and it backfired. I was left with visions of something more untoward than sugarplums dancing in my head. Maybe I’m overreacting a bit, but let me make a few points. First, if I noticed it, someone else will, too. In fact, the colleague who was traveling with me had a similar reaction. Always consider the downside when launching a campaign. Second, implied scare tactics might garner a sale, but they never build true loyalty. Finally, regardless of whether you find the slogans clever, I’ll bet you wouldn’t want your five-year-old asking about sleeping naked when he sees the sign in the elevator. Clever does not always equal appropriate. Enough said.